This very masculine printed polo is an easy wear essential for any stylish little man this summer. Made in a knitted fabric and a striped smooth poplin, the right on trend contrast collar and pocket creates a unique and effortlessly smooth warm weather look that's sure to have him looking amazing. It's a really engagingly designed polo made in exceptional quality. The details are lovely - we adore the suave contrast front pocket. 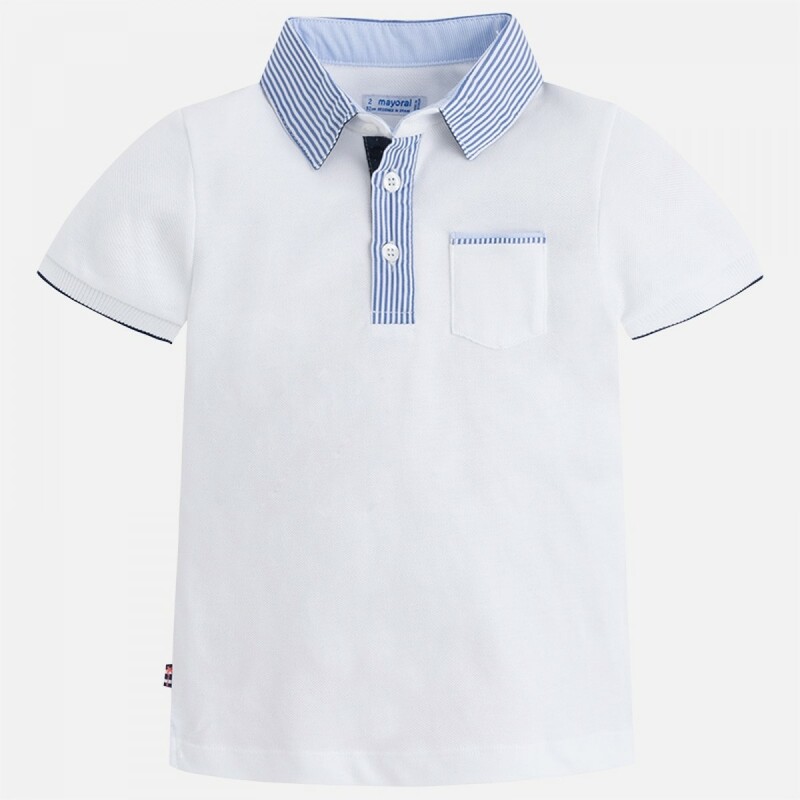 It's a polo shirt with a style that you just don't see every day, so your little man will be able to work a really distinctive look this season.